The ﬁeld of construction, much like any other ﬁeld, is constantly changing. Fiberglass Insulation has been around for many years. Affordable Insulation installs fiberglass insulation in new construction homes, attic areas and metal buildings. Fiberglass insulation is an economical insulation choice. 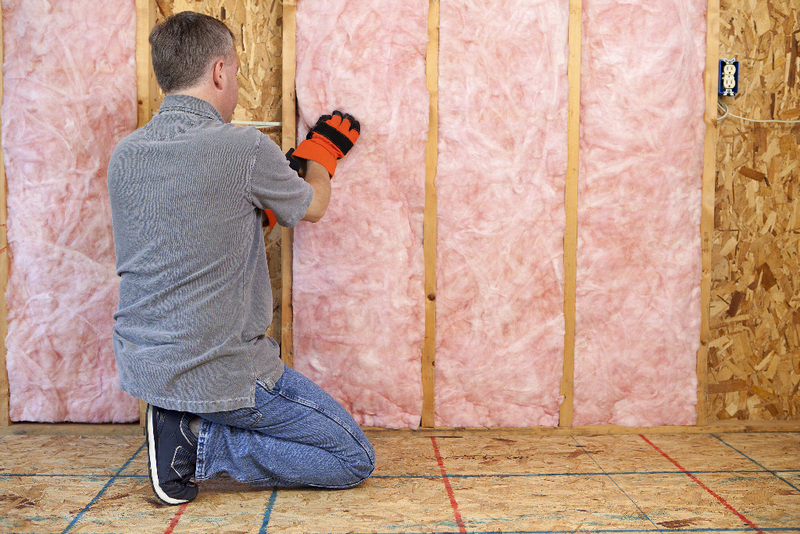 Installing fiberglass insulation is one of the easier insulations to install. Spray foam insulation is installed by Affordable Insulation and we often use this type of insulation for new construction, attic retrofits and metal building. 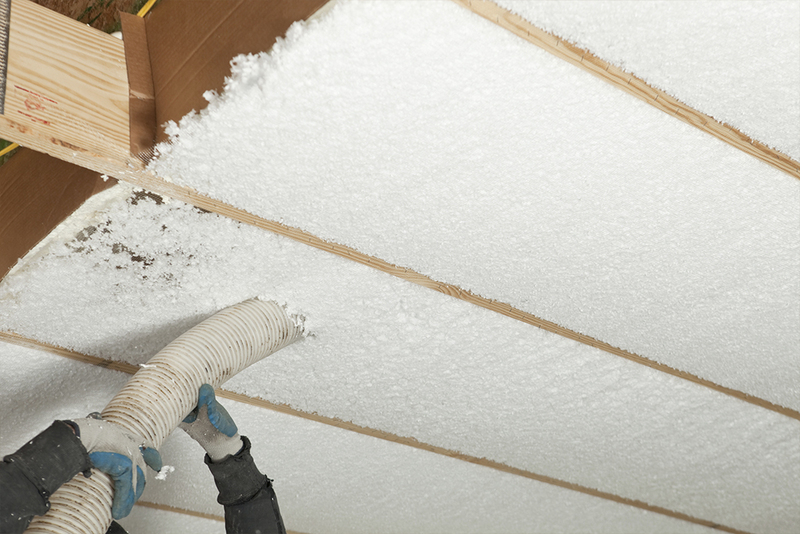 Spray foam insulation is installed by trained installers with state of the art equipment. We are going to review the three most common materials of this kind. These are the BIB system, the batt Insulation, and the spray foam insulation, respectively. The term BIB stands for the ‘Blow in Blanket’. It is a kind of insulation system which confers uniform density and eliminates the likelihoods of shifting and settling. It utilizes any loose fill ﬁberglass insulation product. This insulation is blown into place behind a mesh of fabric and at speciﬁc densities. It is much better than the traditional batts. This is because it can achieve a higher R-Value (R23 in a 2x6 wall). It is on the whole great for those who are on the lookout for more effective alternatives to batts and achieves better air sealing than batt insulation. This system is a proven method of insulating new construction homes. It eliminates settling, ﬁlls costly air gaps effectively, and eliminates shifting and settling. Moreover, it eliminates voids and also does not settle. Fiberglass can also be blown-in between floors and it is quite effective for energy efficiency and sound control. It also plays a great role in soundprooﬁng theater rooms, bedrooms, play areas, and recording studios. Given its complex nature, this form of insulation may only be installed by duly certiﬁed blow-in-blanket contractors. Batt insulation is the most economical and by far the most common form of home insulation. It simply comprises a set of batts that are form fit for the cavity. The most common material that is used to make up the batts is the ﬁberglass. The material is easier to use given their lighter, more compact, and ready-to-use forms. Batts have a variety of beneﬁts and advantages. The materials are easier to install. This is mainly because they come ready for use as stated. They are also lighter in weight and are hence easier to carry around and engage. Secondly, they do have a high R-value. This is the measure of the resistance of the materials to the ﬂow of heat. Being high, this means that the materials on the whole block much of the heat. This considerably brings down the costs of energy you will ordinarily have to confront. It also makes the interiors of the rooms habitable by reason of keeping it cooler in the day and warmer in the night. Lastly, the materials may also be used to seal off the air. To be able to achieve this aim, the materials are ﬁtted in cracks, gaps, and other perforations. This stops the inﬂow and the outflow of air to and from the room. This insulation further blocks any transfer of air and with it, the possible loss of heat. This further goes a long way in enhancing the livability of the room as a whole. Spray foam, as the name suggests, comes in the form of a liquid that is process by industry specific equipment by trained installers. It is therefore sprayed on a surface rather than ﬁxed or installed as is the norm with the remaining materials. 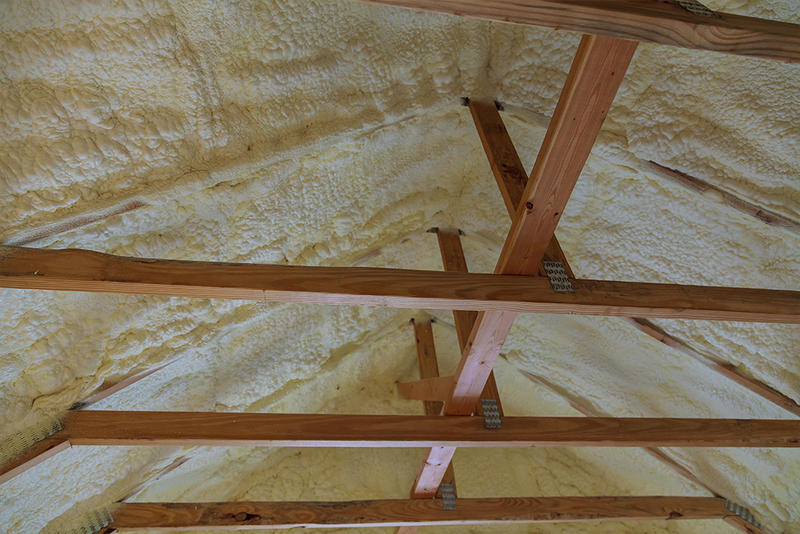 Spray foam insulation has a better return on your investment in the long term by saving you significantly on your utilities and HVAC equipment. The main beneﬁt of the spray foam is its ability to seal out air from escaping from buildings. This is because its molecules are highly compacted and harden after a spray. This hardening is what prevents the ambient air from escaping into the atmosphere and the external air from seeping into the building. It has been noted that one-third of the air inﬁltrates the buildings through the ﬂoors, the ceilings, and the walls. When this material is sprayed onto the surfaces, it prevents the exchange of air into and out of the building via these channels. This helps the buildings to achieve their optimal performances. The beneﬁts of this arrangement are too numerable to completely exhaust. It cuts down the energy bills, keeps the room warm in the extremely cold months, and insulates the rooms from ambient sounds among others. Given that spray foam become a permanent part of the building, they do not require any future replacements and are thus cheaper in the long run. Well, the choice is yours! You have three main insulation materials to choose from. It is up to you to determine which of the three best suits your unique circumstance and need. If you can, make every effort to utilize the spray foam insulation. It is the more permanent and reliable of the three materials discussed above. It may be costlier, granted. However, the long-term beneﬁts it confers are way too numerable to be forfeited. The only way though you can possibly navigate this treacherous terrain of insulation material and arrive at the best ever purchasing decision is to invoke the assistance of an expert in the industry by calling Affordable Insulation.